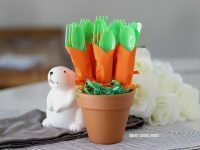 Carrot Napkin Utensils – DIY bushel of carrots for Easter utensils! 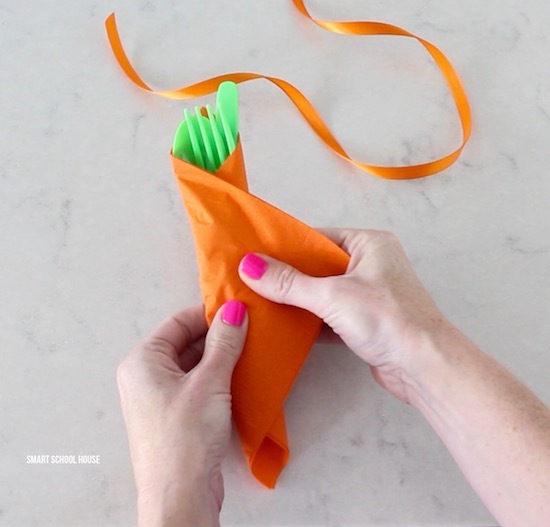 Green utensils wrapped in an orange napkin to look like carrots. 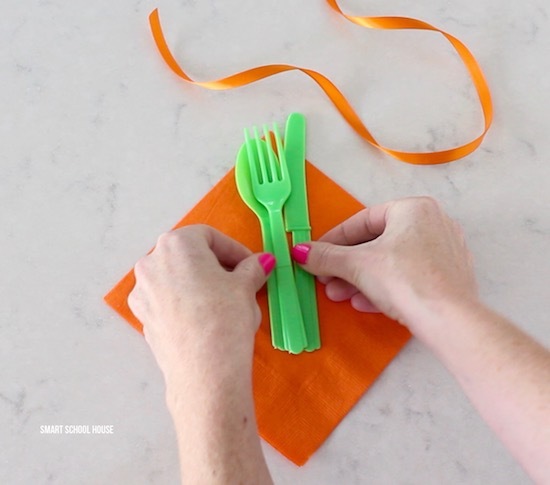 Keep reading to see the complete directions and details about where I got the supplies. 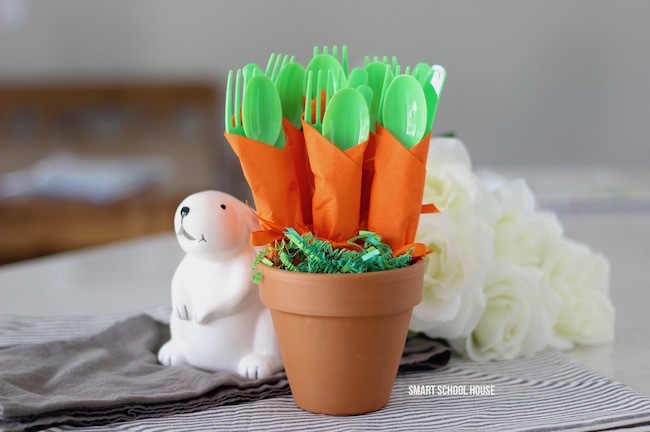 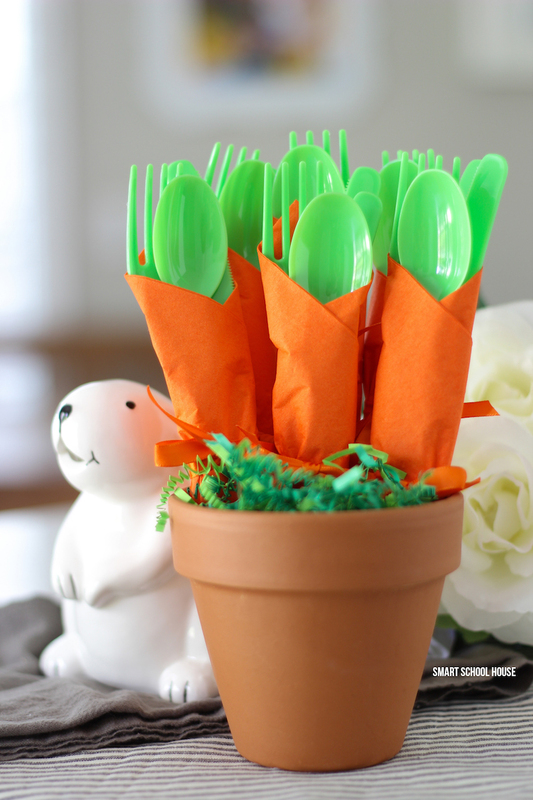 You’re going to get a lot of smiles when you display these utensils wrapped like carrots! 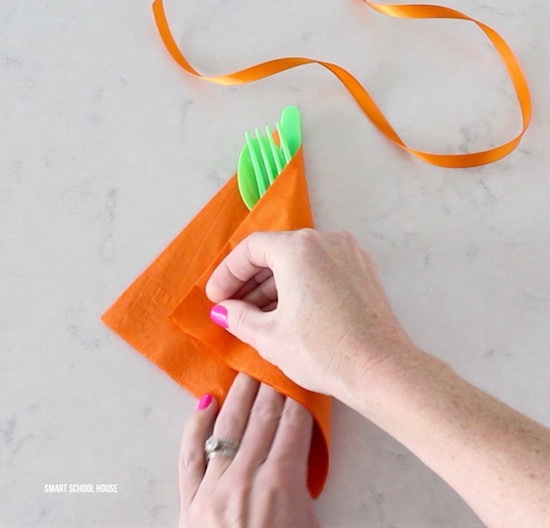 Lay the orange napkin down so that it looks like a diamond. 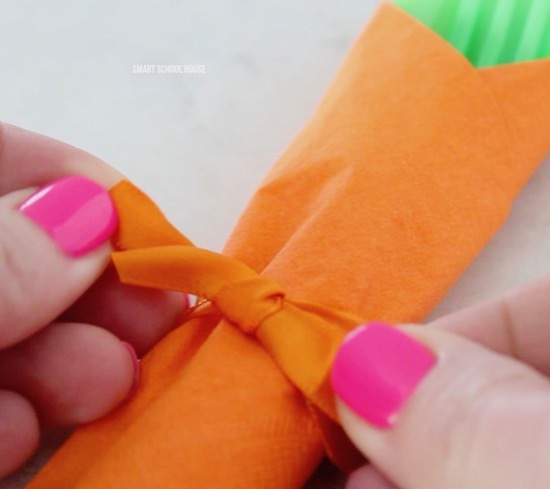 Take the outer left corner of the napkin and wrap it over the top and around to the back (conceal and corners in the back with extra folding). 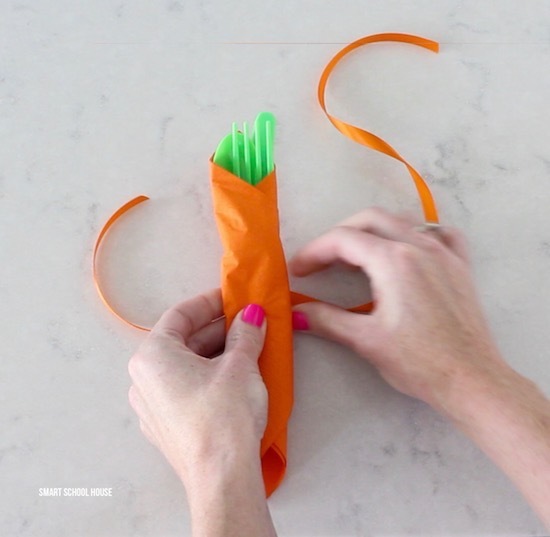 The top will be a little wider than the bottom, like the shape of a carrot!